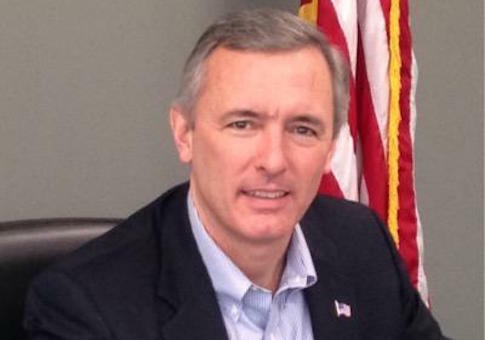 Rep. John Katko has a commanding lead over his Democratic challenger in New York's 24th Congressional District, according to a new poll. Katko's 14-point lead over Democrat Dana Balter in a district won by Hillary Clinton in 2016 is an indication the Republican is "‘blue wave' proof," the Times Union reports. "Congressman John Katko continues to defy the political winds that threaten the re-election chances of his Republican colleagues across New York and the country," the Albany-based paper reported. "The two-term incumbent is up 14 points over Democrat Dana Balter in the latest Siena Research Institute [poll]. The 53 percent to 39 percent results almost exactly mirror a Siena poll from two months earlier, when Katko was up 15 points." Katko's support includes 20 percent of Democrats, according to the survey of 500 likely voters taken between Oct. 18 and Oct. 22. New York's 24th District was once presumed to be an opportunity for Democrats to pick up a Republican-held seat. However, Katko's popularity and Balter's underwater favorability rating among independent voters make a Democratic upset unlikely. "Katko continues to run strong in a year when Republicans in swing districts like the 24th were viewed as endangered nationwide, part of a predicted blue wave that could turn the House over to the Democrats," Syracuse.com reported. "Katko is one of only 25 Republicans to represent a district Hillary Clinton won in 2016."